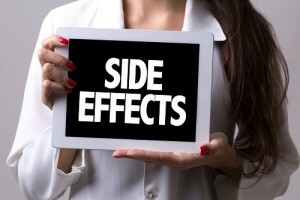 Isagenix Side Effects - What are the Positive + Negative Side Effects? For many people, starting an Isagenix program involves a substantial change in personal habits. With any change effecting one’s diet, health, and habits, you should expect some unintended side effects. While not all of the side effects of using Isagenix are comfortable, they are part of the larger process of improving your overall health and lifestyle. The side effects of Isagenix products are predictable and manageable. If at any point you are suffering from unmanageable pain or any side effects that you believe to be unsafe, see a doctor immediately. To experience the full benefits of Isagenix, you must undergo detoxification through Isagenix cleanses. These cleanses help to remove unnecessary toxins from your body, but they can also cause some negative side effects. Fatigue and lethargy: Isagenix cleansing will involve a significant reduction in caloric intake from a typical diet. As a result, you may feel general fatigue or lethargy from the drop in energy provided by your diet. Fatigue should only last for 1-2 days after an Isagenix cleanse, and you should actually feel an increase in energy in the days and weeks following a cleanse. Mental cloudiness: Over time, your nervous system develops dependencies on the chemicals found in manufactured foods and health products. Isagenix cleanses demand that you break these dependencies which can result in a feeling of mental cloudiness. This difficulty to focus should only last 2-3 days, and your mental clarity should sharpen after several days. *It is not required that Isagenix customers abstain completely from alcohol, sugar and caffeine. Like all substances, it is important to use alcohol and caffeine within reason. Prepare – If you are reliant on substances like alcohol or caffeine, you can reduce the withdrawal symptoms experienced while cleansing by limiting your alcohol and caffeine intake in the two weeks before your cleanse. You can also prepare for an Isagenix cleanse by eating clean, healthy foods in the preceding days. This will allow you to enter the cleanse with maximum amounts of energy and a clear mind. Hydrate – It is critically important to drink water during any Isagenix cleanse. (We recommend at least 2-3L per day.) Staying hydrated will help to reduce the negative side effects of Isagenix cleanses, particularly headaches and fatigue. Hydration will also maximise the effectiveness of your cleanse, as it will help to flush the unnecessary toxins from your body. Take Advantage of Beneficial Isagenix Products – Of course, Isagenix’s range of products is not limited only to cleanses and meal replacements. 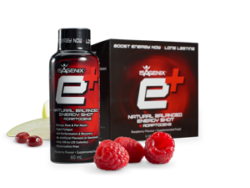 Products like IsaDelight Chocolates and e+ Energy Shots are designed to help customers complete Isagenix cleanses. IsaDelights provide a healthy source of calories for snacking while cleansing, and eShots prevent you from experiencing feelings of fatigue and lethargy. Weight Loss: Isagenix is one of the world’s most popular weight loss solutions because of its natural ingredients and safe results. By cleansing your body of toxins and impurities, you are more receptive to the benefits of dietary changes and exercise. Isagenix users report weight loss results that are both substantial and sustainable. release toxins and body fat. Energy Boost: By removing pollutants from your nervous system and reducing dependencies on caffeine and other substances, Isagenix provides a natural energy boost that is far more effective than energy drinks or pills. The consistent energy that is provided by Isagenix is one of the most commonly mentioned benefits by satisfied customers; you can reduce your dependence on caffeine by using Isagenix cleanses! Healthy Ageing: Isagenix products have been carefully created by leading scientists and nutritionists to combat genetic developments like cellular deterioration and telomere shortening. By preventing these circumstances, Isagenix is able to stop or dramatically slow down the symptoms of ageing. Boosted Immune System: Products like Isagenix Essential Multivitamins provide the most complete source of necessary vitamins and minerals on the market. Daily consumption of these vitamins will provide a significant boost to your immune system, preventing the common cold and viruses. 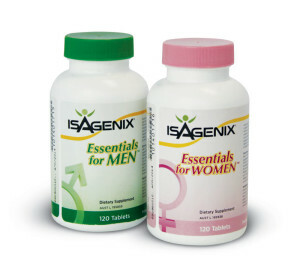 Isagenix has created multivitamins to specifically meet the needs of both men and women, stimulating prostate health in men and bone density in women. Stress Relief: Before starting Isagenix, many customers are unaware that a large portion of their stress is being caused by the accumulation of toxins and unhealthy personal habits. After completing an Isagenix Cleanse, customers often experience remarkable reductions in their stress levels. This stress reduction is more sustainable than many other techniques as it is based on natural ingredients and the removal of unnatural toxins. The positive Isagenix side effects (weight loss, energy boost etc) far outweigh the negatives. Try the Isagenix range of products today! All first orders come with a 30 day money back guarantee.